Cherry City Kitties : Attention: All kitties to love duty! Attention: All kitties to love duty! This young lady needs some kitty love ASAP ! 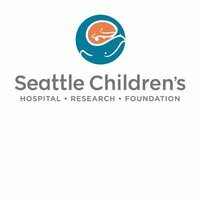 Send your photos to Seattle Children's Hospital wall by tomorrow and let's help Maga feel better ! Maga is a cat-loving cancer patient, who can't leave her room right now, or visit her own cat, Merry. We're working on a special project to bring hundreds of "virtual" cats to Maga's room, and would love your help. What can you do? Post your favorite cat photo to our wall (or tag us from your own wall) by July 25. Then stay tuned! We'll share a video of Maga seeing the final creation here on Facebook on August 1. Can't wait to see the result. Cats are healing! We don't do Facebook; but we could email photos of our Maggy and Zoey to you if that would help and someone else can put them on FB on our behalf ... just let me (Ann) know if that can be done ... we are zoolatry at gmail dot com. Definitely a good cause and we will post a pic or two! Thank you for your suggestion about the drooling. Delilah has always been a 'happy drooler', but this drooling was constant and she was not happy about it! Brilliant and I will get GJ on straight away..
Just one?? how on earth will I choose?? Thank you for the reminder! I read about Maga yesterday. I hope I did that right. I put a picture on the Hospital page that the link took us too. This is such a good idea. Thanks for letting us know about it. We don't do FB either, but that is so sweet to do that for that little girl. Email me some pictures gang, and I will get them posted! I posted one of my belleh for Maga! Thanks for letting us know about her! I posted one of my favorite pictures of me in my rainbow fairy suit! We've got lots of kittie photos (big shock, eh? ), but don't do Facebook. Are there any alternate ways to post photos? 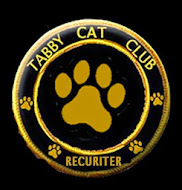 email them to me @ cherrycitykitties@yahoo.com and I will post them for you! We posted a couple and will do some more. Thank you for letting us know, pals! We posted ours, and pleased to do this for Maga! Alas! We are not on FB, but good luck! What a lovely thing to do, we've posted our photos! Oh'sss are weee's tooo late!!! We don't nose how to send em to yoooo :( Hurry...lets us nose :)Hopes weee's not tooo late..Email address..
Our Momma posted a picture message for Maga! We sent one in today as well. Hopefully it makes it onto the list for Maga. This is Most Wonderful! I had Mom post a picture of my kitteh-brudder Smudge! Hi there! We tried to post the pictures, but for some reason FB does not like to always play friendly on our iPad. We not sure if they posted ok or not...but either way, we think some really good pictures did get posted. Kitties... good for what ails ya ! OMC!!!! Are you serious ??? We're gonna have our first giveaway ! So what did I have on my pizza? YIKES !!! What did YAHOO do ???? Friday night is Catnip Night!